5-	Help Free Paul Larudee! The Israeli military, police, and secret service are collaborating with Beit Ayn settlers to confiscate Palestinian land. The settlers have claimed that the land of Mohammad Jaber Solaiby is their own and the different branches of the Israeli military are mobilizing to make it so. Even though the Solaiby family has documentation proving their ownership of the land including a deed dating back to the Ottaman empire. 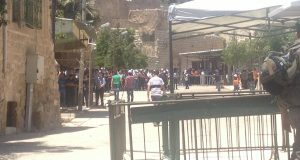 AIC, Jerusalem: http://alt-info.org/ Demonstration today at 18:00 in front of the Ministry of Defense in protest of the continuation of murder in Gaza. According to Palestinian human rights organisations, the new restrictions involve barring Palestinians carrying foreign passports, including those married to a Palestinian spouse, from re-entering the West Bank after leaving for their adopted country of citizenship, even for a brief visit. The new measures also affect long-time foreigners residing in the West Bank such as college professors, NGO employees, religious figures and naturalised spouses of Palestinian residents in the West Bank. Right to bar Samara believes Israeli military authorities were targeting ordinary people, most of whom are not politicised and leading a normal lives with their families and friends. Paul Larudee, piano tuner and nonviolent activist, has been denied entry to Palestine by the Israeli authorities and is being held in detention at Ben Gurion Airport. Please take a few minutes to take action to free him! 1. WE ARE NOT ONLY DEMANDING PAUL BE ADMITTED; WE DEMAND THAT THE UNITED STATES AND ISRAEL BREAK THE SIEGE ON THE PALESTINIAN PEOPLE Israel’s policy of denying entry to people who support Palestinian nonviolent protest and report on the situation to the world is one aspect of a campaign to isolate the Palestinian people from the world. 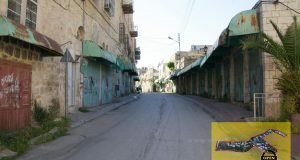 This campaign, which began long before the election of Hamas affiliated candidates to lead the Palestinian legislature, includes closing the only passage for goods into the Gaza Strip (it has been closed more than 50% of the time since the beginning of this year), building the Segregation Wall, frequent closures on the West Bank, and malicious prosecutions of Israeli activists who participate in Palestinian-led demonstrations (recently a judge ruled that an almost two-year prosecution of two Israeli anti-Wall activists was completely devoid of merit). Recent U.S. moves to strangle the Palestinian people economically to punish them for exercising their democratic rights have created what the UN Food Program and the World Health Organization call a humanitarian disaster. Because the official Israeli view receives much more widespread coverage in the U.S. media than does the impact of these policies on the lives of Palestinians, it is important that people like Paul be able to go and report the situation accurately, and show the Palestinian people that the world has not completely abandoned them. 2. PREVENTING PEOPLE WHO PLAN TO SUPPORT PALESTINIAN NONVIOLENT RESISTANCE FROM ENTERING THE COUNTRY IS INTENDED TO DEPRIVE THEM OF THEIR RIGHT TO RESIST OCCUPATION, WHICH IS ENSHRINED IN INTERNATIONAL LAW. There is no evidence to support the claim that Paul specifically or ISM in general participate in “violent” demonstrations. Rather, ISM has clearly and repeatedly stressed its commitment to nonviolence. ISM requires nonviolent direct action training of all participants, and Paul has participated in a number of these trainings. The only violence at the demonstration at which Paul was shot in 2002 came from the Army. 4. THE ISRAELI GOVERNMENT CLAIMS IT IS EXCLUDING PAUL IN PART BECAUSE HE SLEPT IN HOMES OF FAMILIES OF PEOPLE WHO HAD CARRIED OUT ATTACKS AGAINST ISRAEL. 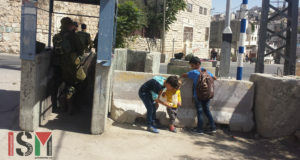 ISM’s policy has been to provide accompaniment for families who are threatened with collective punishment by the Israeli forces because of acts committed by family members. This does not convey any support for attacks against civilians. Rather, it conveys support for international law, which considers collective punishment a war crime. In February 2005 Israeli defense minister Shaul Mofaz announced an end to the policy of punitive home demolitions, upon recommendation of a military panel. The Israeli human rights group Btselem had long campaigned for an end to the policy, which left at least 4240 people homeless. 5. IT IS NOT ONLY INTERNATIONAL ACTIVISTS WHO ARE BARRED FROM PALESTINE. MORE IMPORTANTLY, MILLIONS OF PALESTINIAN REFUGEES LIVING ALL OVER THE WORLD ARE PREVENTED FROM RETURNING TO THEIR HOMELAND. The ongoing refusal of Israel to implement UN General Assembly Resolution 194, passed in December 1948, requiring “that the refugees wishing to return to their homes and live at peace with their neighbours should be permitted to do so at the earliest practicable date” is one of the most serious obstacles to peace in the region. 3. Contribute to the NorCal ISM Legal Fund, which is paying for Paul’s appeal of his denial of entry. We need to raise at least $1,400 for his costs. Anything we raise over what is needed for Paul’s defense will go toward the defense of Palestinians or international activists arrested in nonviolent protest or other ISM volunteers denied entry. To find out how to contribute, see www.norcalism.org/contribution.htm. This journal entry is being reposted because of the current imprisonment https://www.palsolidarity.org/main/2006/06/05/californian-piano-tuner-faces-deportation-from-israel-for-supporting/ of Paul Larudee, the 60 year old piano tuner and ISM peace activist that Israel is currently trying to deport. The article was written at a time when ISM was focused on a campaign of living in the homes of the bereaved families of Palestinians who had carried out suicide attacks on Israelis. This was done because the families’ homes were under imminent threat of destruction by the Israeli military, no matter how much the families themselves may have been opposed to the attacks. This Israeli policy of collective punishment only multiplied the violence, as ISM volunteers constantly pointed out would be the case, and it was also a violation of international law. This practice was finally halted by the Israeli military in February 2005 http://www.smh.com.au/news/Middle-East-Conflict/Israel-to-stop-destroying-homes-of-attackers/2005/02/18/1108709439261.html , with the admission that it also hurt Israeli interests. The ISM has always condemned violence that targets civilians, be they Israeli or Palestinian. By Paul Larudee, Septmber 2002.